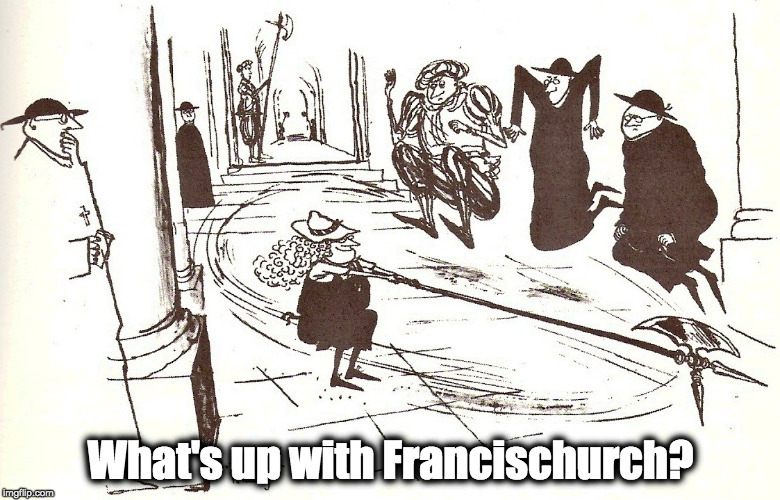 Our only hope: prayer and “conversion of manners” – What's Up With Francis-Church? The series is on prayer, the “universal call to holiness,” and “conversion of manners” – what these are and how to do them. Not that I imagine that I know more than anyone else, but mostly as an effort to learn myself; it’s the only real skill I learned as a journalist: how to find people who will answer your questions. I’ve learned that writing – essentially telling others what you find out – is one of the best means means to explore and learn something in a systematic way. The pieces will mostly start from this year’s Lenten reading, “The Spiritual Life and Prayer: According to Holy Scripture and Monastic Tradition“. It is needed now more than at any other time in our history, since we are in such a state in the Church as has never been seen before. At no time – not even during the Arian Crisis – has there been this most deadly combination of factors: devious and duplicitous false teaching; treacherous shepherds; a Church that spans the globe, in an age of previously unimaginable ability to instantly communicate these falsehoods and distortions; and all following a hundred years of a centralising trend in which more power than has ever been imagined lies in the hands of the grossly corrupted central authorities in Rome. It was the perfect moment for Satan to enter the Sanctuary; there has never been precisely this combination of factors, so many of which were unimaginable to our forefathers. We are in greater peril now than Christians have ever been before. And yet, it’s the same peril as always, to drag us by any means off the path. In one sense, the tune hasn’t changed. More and more I’m becoming convinced that the only possible recourse is as individual laymen to turn more urgently than ever to the work of sanctification – to become holy saints, pursue what the saints called the “transforming union”. To start this, we, each of us, must learn the Faith, including the bits that have been deliberately hidden under the false floor of neo-modernism (that I’ve nicknamed “Novusordoism”). And as always we look to the very men working on our destruction to find the way. ; whatever it is they’re denying, whatever they’re trying to destroy, is where we must look. The “universal call to holiness” is starting to be actively refuted by the people currently in charge of the Church. This seems odd, since they are the ones claiming to be the very embodiments of the Second Vatican Council. Lumen Gentium 39: “This practice of the [Evangelical] counsels, under the impulsion of the Holy Spirit, undertaken by many Christians, either privately or in a Church-approved condition or state of life, gives and must give in the world an outstanding witness and example of this same holiness.” It’s not really ironic though, since they have lied all along about that too, and their claim for themselves as the first and last authentic interpreters of “THE Council” is as false as everything else they claim. So I propose we use their lies, their attempts to divert us from the Way of Perfection, as a kind of reverse guide. In short, whatever Walter Kasper tells you to do, or not do, do the opposite. It is a truth of the Faith that all are called to these heights of spiritual perfection. All human beings are intended by God for this intimate and perfect union with Him; and it is equally a truth that at least a taste of this union can be had in this life – which is what “holiness” really is. The Walter Kasper’s of the world, and those who would follow this wide and easy path, are deceiving themselves. These are the ones Abbess Cecilia refers to as “superficial souls” and “light minds taken up with worldly solicitudes” to whom her book is not addressed. It is these – the ones who refuse this Way of Perfection – of whom the Lord said, “They have their reward,” and woe to them, who have only this life and this world on their minds. The saints teach us that the soul cannot remain in a static condition; it is always either advancing toward God or retreating away from Him. We are like people in boats on a strong-flowing river; stop rowing for a moment and the stream will carry us down toward eternal death. 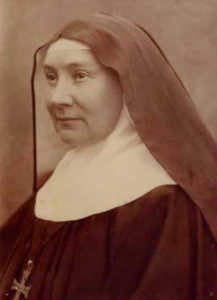 “The true children of the Catholic Church think differently; they know that man is made for union with God, that God is man’s end, and that his immortal soul has supernatural aspirations and aptitutdes which are the fruit of the grace of baptism and which cannot be violently restrained. We must seek God, for He seeks us.